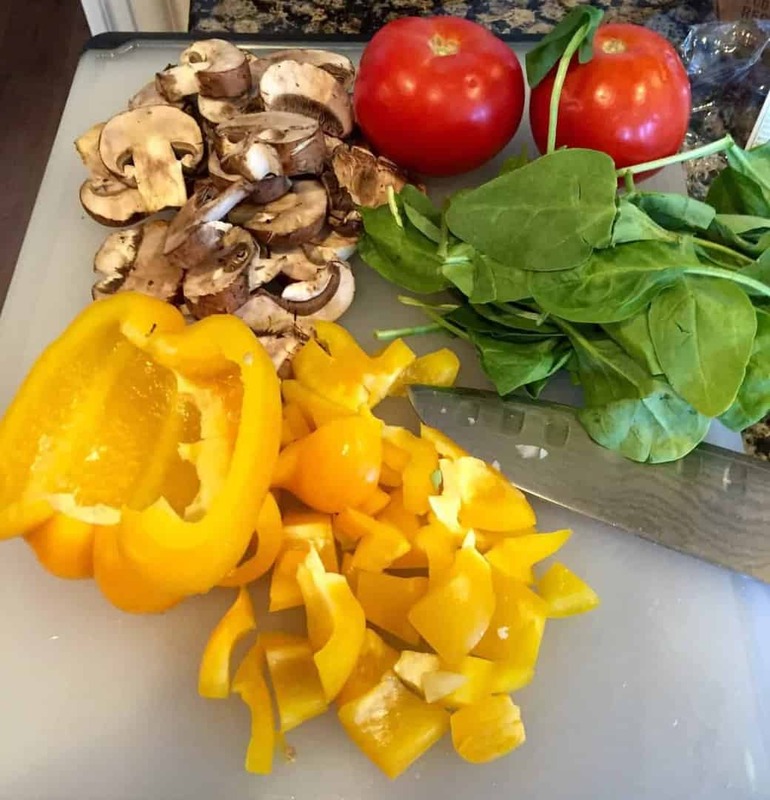 This used to be one of my go-to dishes before I started to eat low carb. Now that I’ve found Explore Asian’s pastas, I’m trying all the low carb ones out! tried the edamame ones last week (so good!) and tried the soybean pasta today. 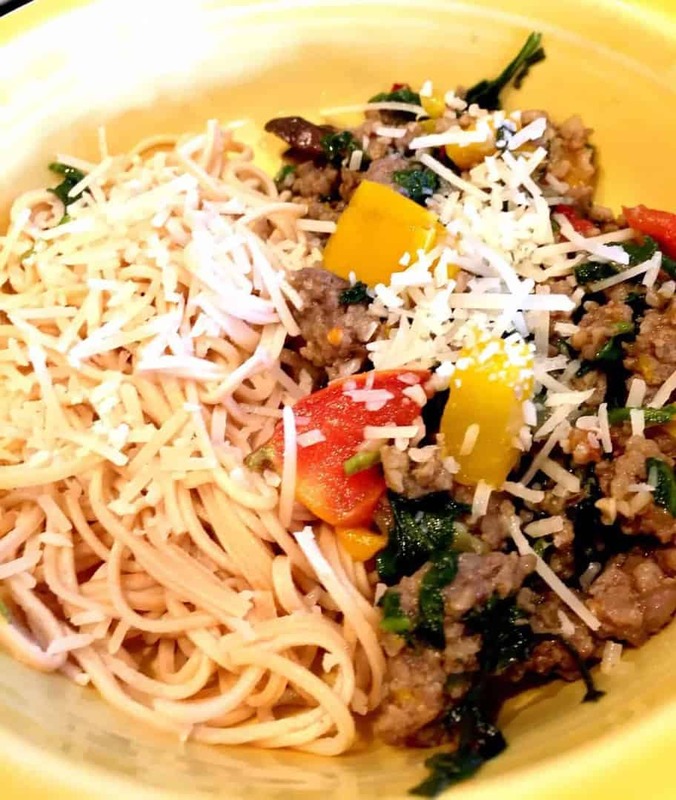 Not bad, especially with this sausage and vegetable mixture to toss it with, topped with grated Parmesan cheese. 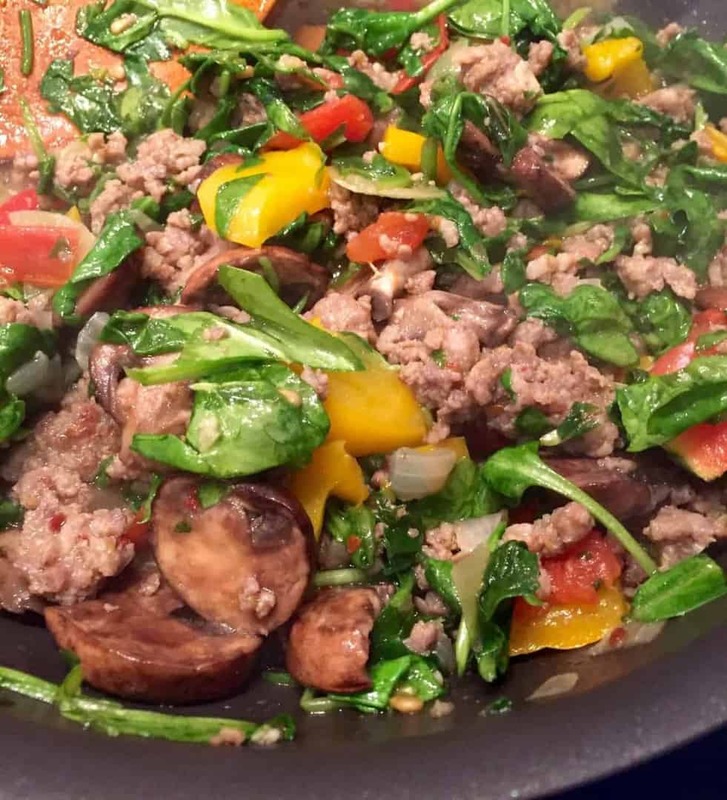 I used on onions, garlic, yellow bell peppers, tomatoes, spinach, fresh basil and portabella mushrooms with hot Italian sausage in this recipe.